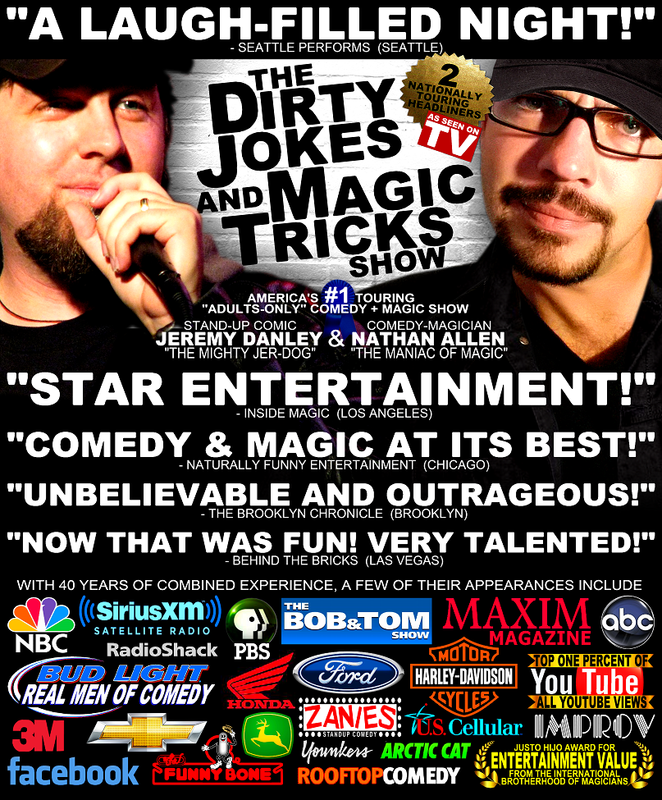 Coming to Checkers Tavern in Cedar Rapids, Iowa, on Friday, July 27th… “The Dirty Jokes & Magic Tricks Show” with Nathan Tricky Allen, Jeremy “Jer-Dog” Danley, and special guest comedian Andy Hartley! Tickets are $15 in advance, or $20 day of show. Get yours before they’re sold out. Tickets are available at the bar, by calling 319-364-9927, or click here to order online. And, each ticket INCLUDES free entry into our raffle door-prize drawing! 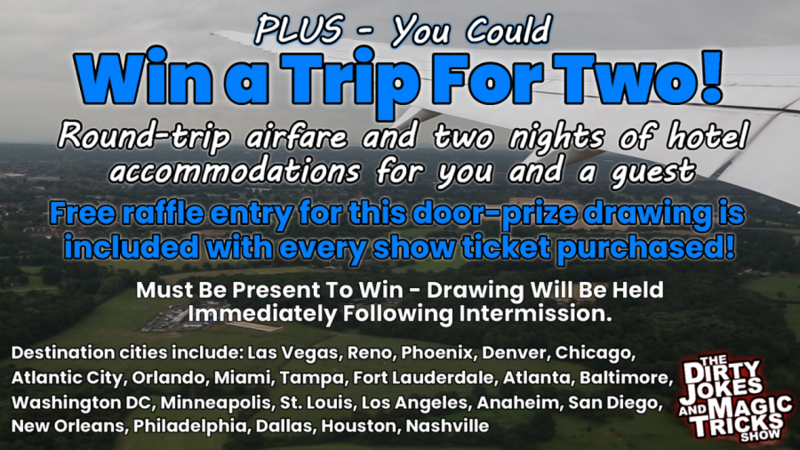 Yup, you could win a trip for two; Round-trip airfare and two nights of hotel accommodations for you and a guest. Free raffle entry for this door-prize drawing is included with every show ticket purchased!